Your use of this website and any dispute arising out of such use of the website is subject to the laws of Slovakia. The software program Creative Golf 3D ("Program"), any additional golf courses, any copies, derivative works and materials are the copyrighted work of Datacrea s.r.o. or its suppliers. All use of the Program is governed by the terms of the End User License Agreement which is provided below ("License Agreement"). The Program is solely for use by end users according to the terms of the License Agreement. Any use, reproduction or redistribution of the Program not in accordance with the terms of the License Agreement is prohibited. Datacrea s.r.o. hereby grants, and by installing the Program you thereby accept, a limited, non-exclusive license and right to install and use one (1) copy of the Program for your use on either a home or portable computer. All title, ownership rights and intellectual property rights in and to the Program and any and all copies thereof (including but not limited to any titles, computer code, themes, objects, characters, character names, stories, dialog, catch phrases, locations, concepts, artwork, animations, sounds, musical compositions, audio-visual effects, methods of operation, moral rights, any related documentation, and "applets" incorporated into the Program) are owned by Datacrea s.r.o. or its licensors. All rights are reserved. A. You may not, in whole or in part, copy, photocopy, reproduce, translate, reverse engineer, derive source code, modify, disassemble, decompile, create derivative works based on the Program, or remove any proprietary notices or labels on the Program without the prior consent, in writing, of Datacrea s.r.o. B. The Program is licensed to you as a single product. Its component parts may not be separated for use on more than one computer. lease or license the Program to others without the prior written consent of Datacrea. This License Agreement is effective until terminated. You may terminate the License Agreement at any time by destroying the Program and any New Materials. Datacrea s.r.o. may, at its discretion, terminate this License Agreement in the event that you fail to comply with the terms and conditions contained herein. In such event, you must immediately destroy the Program and any New Materials. Datacrea s.r.o. expressly disclaims any warranty for the Program.The Program is provided without warranty of any kind, either express or implied, including, without limitation, the implied warranties of merchantability, fitness for a particular purpose, or noninfringement. The entire risk arising out of use or performance of the Program remains with the User. DATACREA S.R.O. IS NOT LIABLE IN ANY WAY FOR LOSS OR DAMAGE OF ANY KIND RESULTING FROM THE USE OF THE PROGRAM, BUT NOT LIMITED TO, LOSS OF GOODWILL, WORK STOPPAGE, COMPUTER FAILURE OR MALFUNCTION, OR ANY AND ALL OTHER COMMERCIAL DAMAGES OR LOSSES. Delivery of Creative Golf 3D software and additional golf courses in sets is realised by distribution canals of companies which devices you are using. 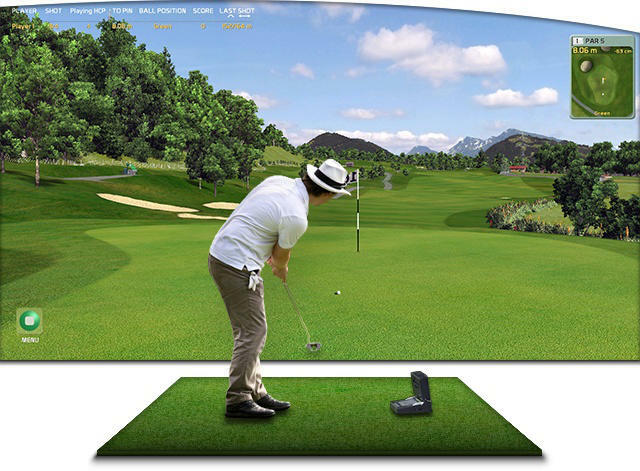 Creative Golf 3D software or additional golf courses in sets you can't buy directly from Datacrea, s.r.o. Claims and guarantee doesn't refer to any downloadable products provided by this eshop.